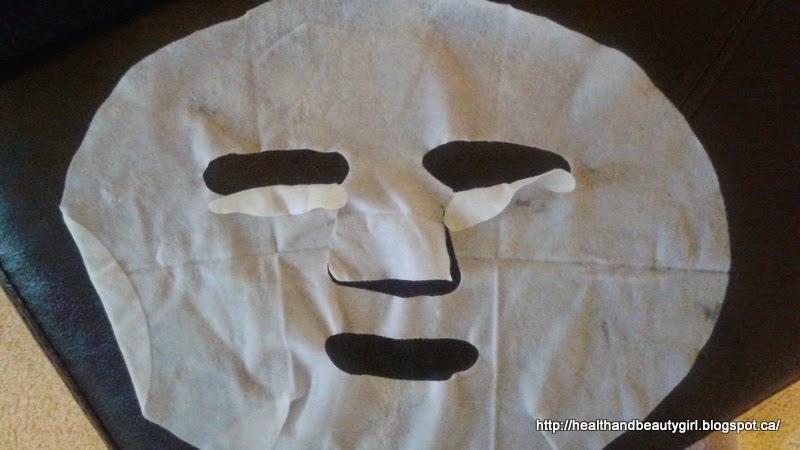 A while ago a friend of mine gave me one of those Korean face masks to try. It's one of those creepy looking one's with the eye and mouth holes cut out. It's been sitting around in a box that I have that's full of samples to try out. With my skin feeling a little dry and itchy lately, I finally decided to break it out and give it a try. 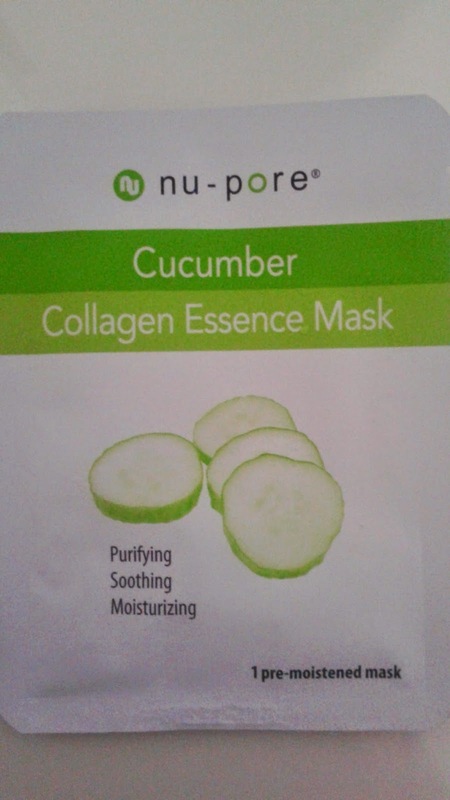 This one is the nu-pore Cucumber Collagen Essence Mask. Claims: Purifying, soothing and moisturizing. It also says on the pack that it contains vitamin E and collagen. It claims to make your tired skin moistened, elastic, clear and relieves your stress. Use 2-3 times per week. The package also contains a number of warnings like not to use on blemished, irritated or sunburned skin. Out of the package comes 1 pre-moistened mask -pictured above. It is very saturated. It says to apply to clean and dried skin and then to soothe your face with a toner before applying, unfold the mask and leave on for 15-20 minutes. 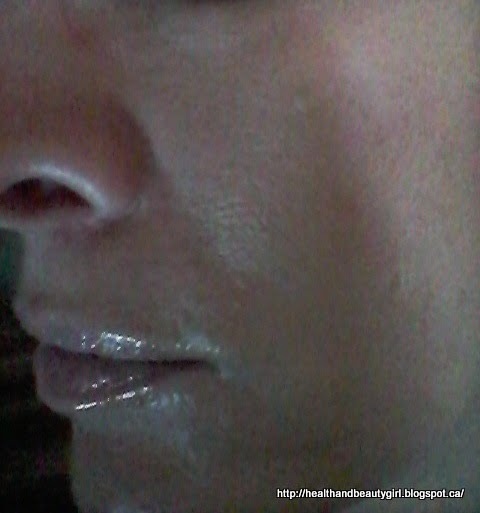 Then, peel off the mask and massage the remaining collagen essence into the skin. After that I applied my normal toner and moisturizer. It's a dark an rainy day here so I tried taking pictures in different lighting but couldn't seem to get rid of the shadowing. 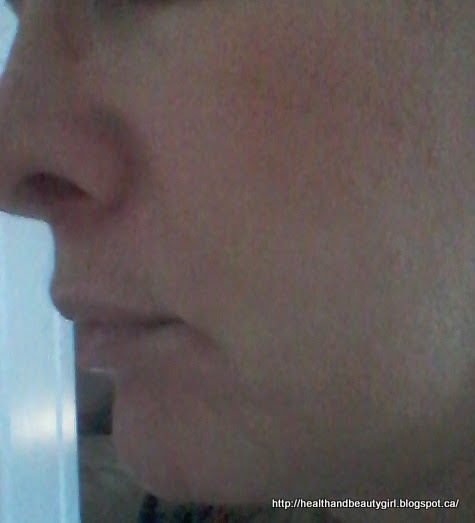 Seeing close ups of your own skin isn't much fun (just look at those pores!) But, hopefully you can see that my skin is hydrated after using the mask (I'm wearing a lip balm so my lips look super shiny). I have a lot of sun damage, scarring and imperfections on my skin and I didn't expect this mask to get rid of those problems (I probably need lasers for that!) What I found was this mask really did hydrate and soothe my skin as it claimed and that's just what I was looking for today. This mask was extremely easy to use and there was no mess to clean up afterwards. I would love to use these types of sheet masks but I will definitely be on the hunt for some without parabens in them. Have you tried any sheet masks? Please let me know, especially if you know of any that are paraben-free and cruelty-free.